Sale prices of Port St Lucie homes are up, over 20% again this year. So if you are looking at Port St Lucie as an investment opportunity, you’ve come to the right place. For years now, Port St Lucie homes have been bringing this kind of return. And with the aging Baby Boomer population, we believe you will see a return like this on Port St Lucie homes, for years to come. 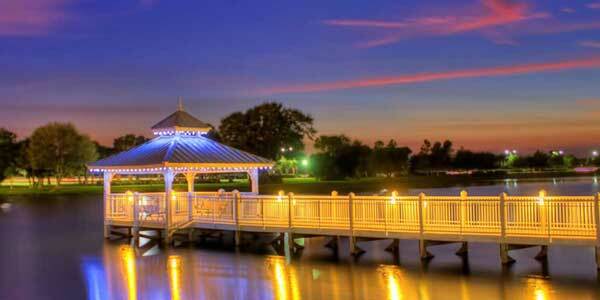 Port St Lucie is the city where we started developing real estate. We’ve developed more Port St Lucie homes than all the other Florida cities combined. At Beach Development we are committed to exceptional quality designs, including superior craftsmanship and outstanding customer service. In order to meet the varied needs of our customers, we have a vast selection of new homes for sale in Port St Lucie. See for yourself why we are rated as one of Port St Lucie’s leading developers of new homes and real estate. We have a wide range of new homes for sale in Port St Lucie, starting in the low $200’s. If you would like to see the new homes we have currently under construction in Port St Lucie visit the link marked “Florida Homes for Sale,” at the top of this page. While you are searching for Port St Lucie new homes for sale, we will save you time and money. One of our real estate experts will show you how to save thousands of dollars on a new home purchase. With a small down payment, you can lock in the current market price, and you will not need a mortgage until the home is complete. This gives you plenty of time to get the sale price you want on your current home. While creating equity in your new home before you go to closing. If you are searching for Port St Lucie new home builders visit our model center. See why so many new home buyers are choosing Beach Development. Port St Lucie real estate comes with a wide range of options. Whether you’re looking for homes or waterfront for sale in Port St Lucie, Beach Development will help you locate your Port St Lucie dream home. Are you looking outside of Port St Lucie? We are also building outside of Port St Lucie. In the Treasure Coast we’re also building homes in: Sebastian, Vero Beach and Palm City. North of the Treasure Coast in the Space Coast we are building new homes in Palm Bay. South of the Treasure Coast in the Gold Coast we are building new homes in the Palm Beaches, including: West Palm Beach, North Palm Beach, Palm Beach Gardens, Palm Beach Shores and Royal Palm Beach. Palm Beach County also encompasses Singer Island, Jupiter Island, Juno Beach, Boca Raton, Boynton Beach, Delray Beach, Lake Worth and Riviera Beach. In Florida’s West Coast we are building new homes in: Cape Coral, Fort Myers and Port Charlotte.